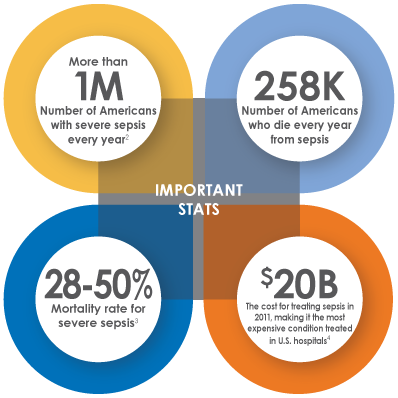 Sepsis is a leading cause of morbidity, mortality and healthcare cost, contributing to an estimated one-third to one-half of all in-hospital deaths. Early detection and initiation of evidence-based treatment is imperative to improving outcomes in this condition. Unfortunately, early detection and initiation of treatment in sepsis remains a challenging problem. Whether developed internally or as part of a purchased sepsis solution, many health systems have implemented complex clinical processes designed to alert clinicians to the possible presence of sepsis based on patient criteria, and then prompt the clinician to make the appropriate interventions. Click the 'Download the Case Study Now' button or the image below and get the free Sepsis Case Study that outlines how your health system can control your clinical processes using innovative software solutions that offers actionable insights clinicians need to reduce cost and improve outcomes.